The Airistech Switch Vaporizer is a premium dry blend portable vaporizer that comes equipped with interchangeable bullet chambers to also allow for use with thick concentrated oils. Right out of the box it is ready for dry material with a premium food grade ceramic heating oven. 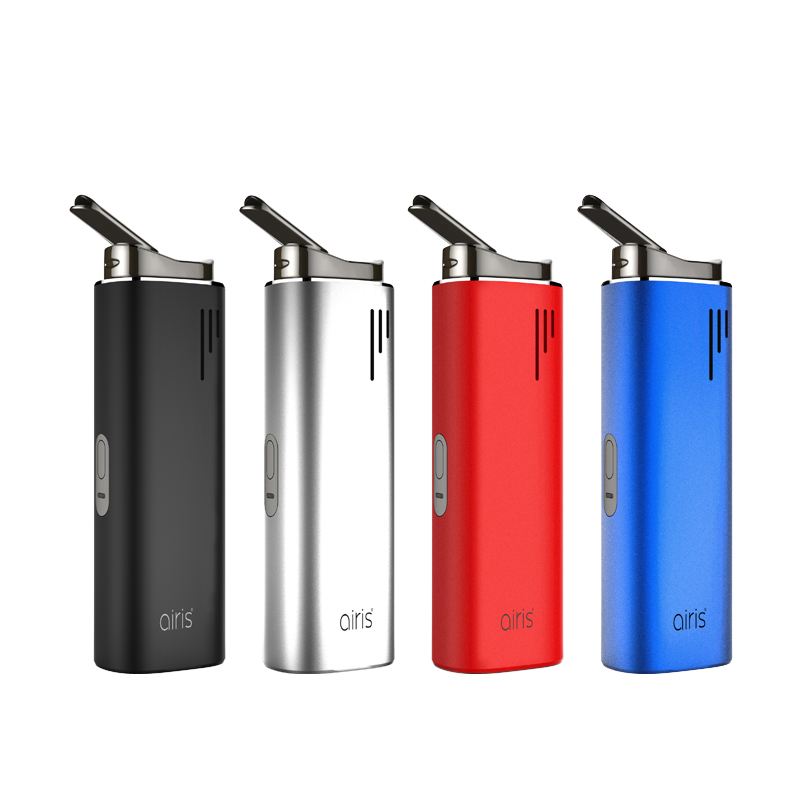 Airis also includes a stainless steel bullet insert compatible with dry blends if you prefer. Inside every kit you also have two bullet attachments intended for use with concentrated oils. Simply remove it's top cap, fill up to the max line, reassemble and drop it into the Switch's ceramic oven. It is recommended to use the maximum temperature setting when working with concentrates. Airistech includes three preset temperature setting options that will cover your needs for both material types. To set your temperature level first you start a cycle by quickly pressing the power button five times. The LED power light indicator will begin flashing to show the Switch Portable started heating. On your first use you will see a Green color to indicate it's lowest temp setting at 420°F. Each click following will change your temperature output, shown by a change in the light's color (Green 420°F, Blue 435°F, White 450°F). After you've found you're ideal setting just let the Switch do the rest. After about 30 seconds the light changes to a solid color and the device vibrates to let you know it's ready for use. Airistech also includes an innovative setting memory function that will automatically use your previous settings for an ultra convenience set it and forget it experience. The Switch 3 in 1 Vaporizer sports a massive 2200mAh battery capacity that is going to ensure you're able to travel with the device without having to worry about constantly recharging. When that time does eventually come just connect to the included USB cable and fully recharge your device in just 2-3 hours.